Paver stone surfaces looks stunning in front of your home, whether it is used for car parking or kids play area. You’ll find many varieties of paver stones, each giving a different feel and durability to your patio. Some varieties, such as cobblestone, flagstone, slate, blue stone, travertine, sandstone, limestone, and granite are the most commonly used natural stones as paver surfaces. There are other varieties such as clay, brick, rubber, concrete, and grass pavers do not belong to a natural stone category. In this blog we discuss natural stone pavers along with their pros and cons. Based on the varieties they are either or installed on layers. Rounded and especially the ones with interstitial spacing needs concrete sealing to prevent movement. Slightly heavier and rectangular varieties can be installed over coarse and fine gravel as they firmly set themselves when closely packed. A cobblestone is not a variety of stone as it just means a rounded stone used for paving streets in the old times. Rounded or angular pieces of natural stones such as granite, marble, and limestone, are usually called cobblestones and used for pavements. Looking rustic as pavements, and being tough, they vary in shape, size, material, and color, allowing you to experiment with shades and patterns. Flagstones are just sandstone, limestone, or slate slabs crudely cut and used to cover the pavers and other purposes. Available in blue, buff, and red colors and other variants, these stones are durable as pavers. They are either sealed or set over subsurface layers, based on requirements. Available in gray, blue, light purple, dark red and brown shades, slates make great paver surfaces for warmer regions. Chances are more for the slate surfaces to crack, due to freeze-thaw effect of water in places of frequent snowfalls. However, due to its antiskid nature, it makes a great surface to be used near swimming pools. Natural stones like feldspathic sandstone, basalt, slate, limestone, and dolerite are also called as blue stones. They are hard volcanic rocks having an ability to bear the wear and tear effectively, also looking cool as pavers. Thermal finishing is given to make the stone surface rugged and anti slippery for walkways. Naturally consisting of pores and looking coarse but still looking elegant, travertine pavers make great choices for both indoor and outdoor use. Due to their uneven texture they make good antiskid surfaces and best bet as swimming pool deck pavers. As they are made of calcium carbonate you need to keep them safe from scouring agents and harsh chemicals. Durable and hard, granite pavers come with a variety of colors and patterns, giving you attractive combinations to play with paver patterns. Using granite for pool decks, walkways, or patios, make the surface a worthwhile investment. Sandstone is undoubtedly hard and beautiful with color variants such as pink, brown, yellow, black, and gray, but also vulnerable to scratches and stains due to their grainy texture. Unlike granite these are easy to cut and customize as per requirements. However, make sure to install coarse sandstone surface, especially near swimming pools and other places where moisture is a common occurrence. When it comes to adding awesomeness to your flooring surfaces a marble stone never fails. 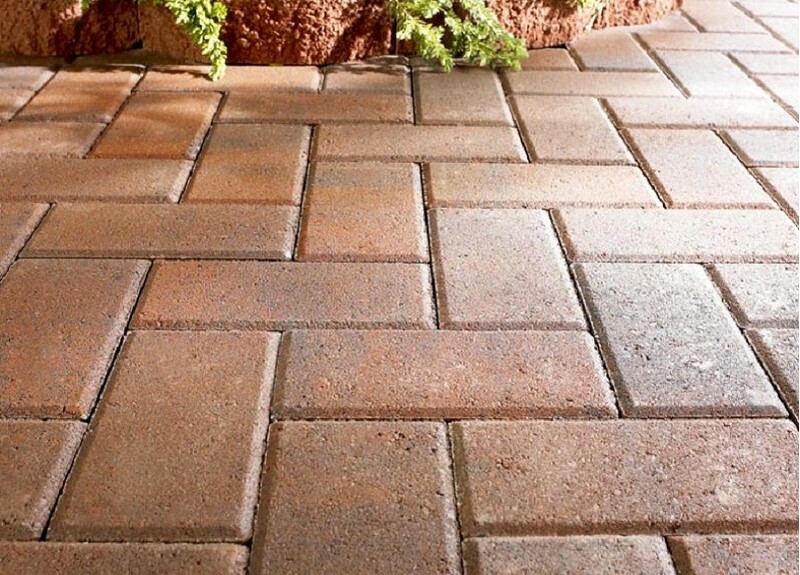 Available in some of the exquisite variations of colors such as blue-gray, pure white, green, brown, black, pink, and salmon, they are sure to give a dreamy appearance to your pavers. They are anti-slippery and make good for both outdoor usage, such as swim pool decks and pavers, and also indoor purposes. Based on the natural stone variety, its shape, size and usage, there may be slight variations in the installation requirements. Check with your installation professionals for more guidance.